In case you come across a congregation of teenagers at the end of your street doing some sort of a digital scavenger hunt – don’t be surprised. They are probably battling for control of their local Pokémon gym. That’s right – Pokémon Go has taken the world by storm. This AR based game has been downloaded more than 75 million times across iOS and Android. If statistics are any indication, Pokémon Go is already the most popular mobile game in the US history. But what’s remarkable is that, it has managed to reach this milestone in just 19 days! Incredible, isn’t it? Essentially, Pokémon Go is a mobile game that integrates augmented reality with location-based services. 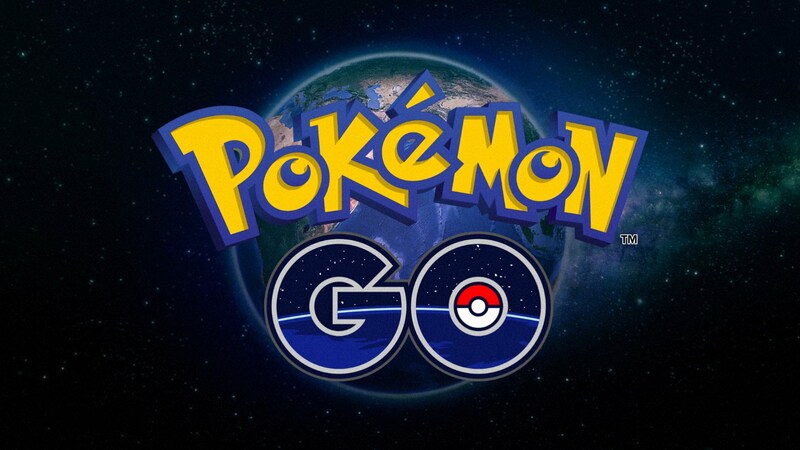 Players are required to capture virtual creatures located at specific geo locations called PokeStops – that are superimposed on a real-life digital map. The idea is to collect all the creatures within the Pokémon index – known as the Pokedex. Pokémon Go uses Google Maps to integrate the real world within its virtual universe. Users take the role of a Pokémon trainer catching Pokémon monsters by exploring the real world, with specific in-game rewards available only if a user walks up to 10km. PokeStops, that provide crucial in-game items, are positioned throughout the real-world at landmarks and local businesses such as pubs and restaurants. Pokémon Go is rewriting the history. According to SensorTower, ‘The average iPhone user spends 33 minutes and 25 seconds a day on Pokémon Go, which is greater than Facebook (22 minutes), Snapchat (18 minutes), Twitter (17 minutes and 56 seconds) and Instagram (15 minutes)’. Ambarish Mitra, CEO of augmented reality developer Blippar, says, ‘In the history of the internet and consumer tech, nothing has had an adoption of more than 100 million global users in six days. The last record was Candy Crush – that took one year and three months to reach the same level’. It was widely believed that AR wasn’t going to take off until the next five or ten years. But Pokémon Go has disproved the theory. He further adds, ‘Everybody said AR couldn’t be a success unless VR headsets or Google Glass took off, but Nintendo and Niantic have disproved that theory by making the most out of the 5 billion people who own a mobile phone with a camera’. Presently Niantic Labs – the makers of Pokémon Go, are selling sponsored locations (PokeStops) to advertisers. McDonald’s Japan and Niantic Labs have struck a lucrative deal to make the most of its 2900 stores in the country as PokeStops. When Pokémon Go debuted in Japan, all the creatures of the Pokémon universe carried a message – Eat with McDonald’s. According to the Wall Street Journal, a cost-per-visit model is also being formulated with higher ad rates for businesses to buy into the rare Pokémon packages. Another way for monetizing is by allowing businesses to purchase a ‘lure’ module at a given PokeStop. This lure module makes the creatures to spawn at a much faster rate for a short interval. As a result – the Pokémon trainers (read users) flock to the designated place. But here is the problem: What if every business in a particular location starts purchasing PokeStops and setting it off outside their doors? This negates the very purpose of a PokeStop as the consumer won’t have to concentrate on a particular area for capturing the creatures. Sustained monetization is one of the biggest problems that Augmented Reality faces today. Niantic Labs is planning to counter this issue by introducing something called a geofence – for a specific period. For a lure to be effective, only a handful of them will be allotted for a specific geographic location. Say a restaurant wants to attract hungry Pokémon users during its happy hours. They can be planning to purchase a ‘lure’ for a particular time interval. Unfortunately, the restaurant across the street might have the same idea for the same time duration. Consequently, these businesses have to bid for their chances – and the one that succeeds gets the lure for that particular time period. A geofence is created for the restaurant that has a successful bid – and gets exclusive access to the Pokémon traffic. Akin to the PPC concept, this is going to be the bidding model of the future. That said, geofences and bidding for lures is all theoretical. Everything depends on how far the augmented reality succeeds in retaining the euphoria – not just with Pokémon Go, but with all the succeeding games as well. Only a handful of people could’ve predicted this unprecedented craze of Pokémon Go. Who could’ve imagined people will drop everything to go on a fanatic forage of virtual monsters? I certainly wouldn’t have. It sounds funny – but three weeks ago, the idea of making money out of phone walking would have been outrageous. But that’s the pace at which technology is advancing. Augmented Reality is the future of mobile gaming – and investors need to understand that being agile isn’t enough anymore: it’s time for double-jointed lightning-fast acrobatics.